One of the highly-anticipated editions of the now-popular Nike LeBron XI finally has a US release date. 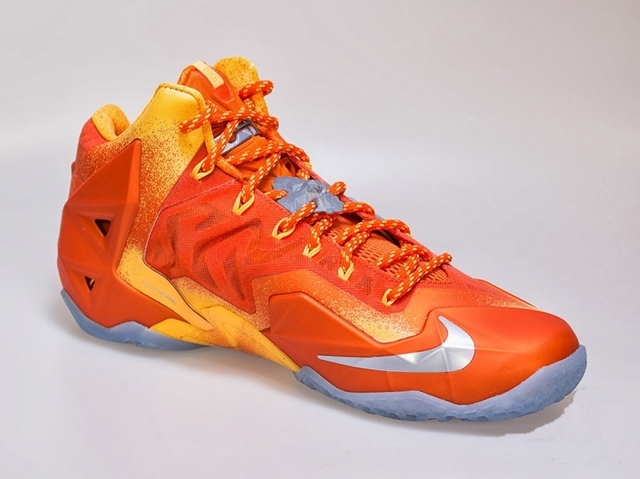 The LeBron 11 “Forging Iron” will hit the market next Thursday, November 14th in the United States. This shoe, which was made as a tribute to the tedious process of forging iron for the basketball rim, is officially listed as the Urban Orange/Light Armory Blue-Laser Orange colorway of the shoe model. This eye-catching shoe will be available on a limited basis according to reports so make sure to grab your own pair immediately for just $200 once it hits the market next week.